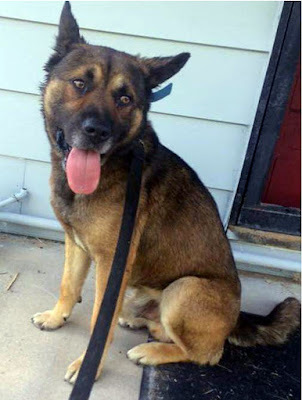 A stray dog, pictured above, was found on Rosemont at Kirkwood this past Saturday. He is a 50 pound male German Shepherd mix, probably some Chow or Husky in him. This animal was not neutered; is very friendly with people but reactive to dogs. Those who found him are pretty sure that he was attacked by another dog. He was found wearing a blue collar with no tags and a black leash. He was not microchipped. If this is your dog, or you know who he belongs to, please call (734) 731-1182. The owner will be asked to confirm his or her claim with veterinary documents or other papers.